Spaghetti squash is rather unique in the way it does actually look like spaghetti once it’s cooked. I don’t think it really can take the place of spaghetti but if you are trying to cut your carbs this recipe can definitely help when you are craving a dish of pasta. Since I like pretty much anything with fresh vegetables, I enjoy this recipe quite a bit for either dinner or lunch. Also with this recipe, you can really add in any of your favorite fresh vegetables. It works well with mushrooms too. 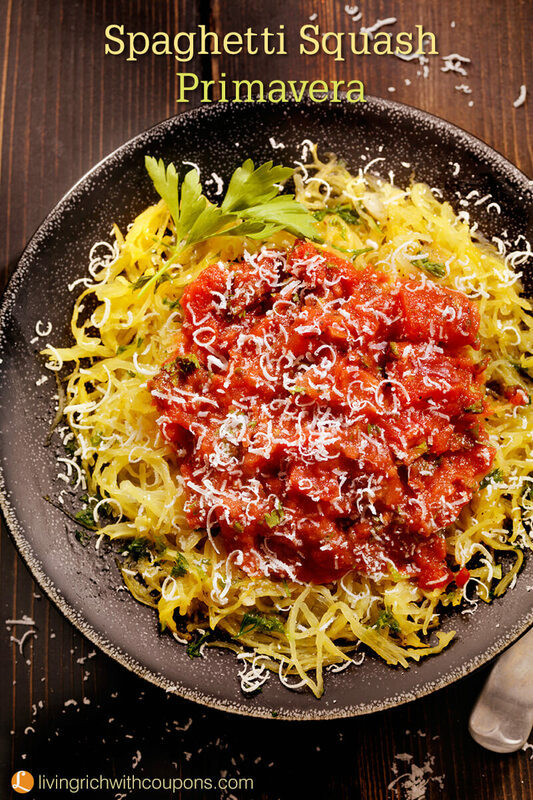 There are several ways to cook a spaghetti squash. I usually cook mine in the oven. I prick it with a fork, place it in a baking dish and with the oven set at 375, let it bake for about 45 minutes until it’s fork tender. I let it cool, then cut it in half and scoop out the seeds. Then I take a fork and scrape the squash to remove the “spaghetti”. I know some people cut the squash in half and remove the seeds before cooking. And I have heard of people microwaving the squash. I haven’t tried that yet. Heat oil in skillet and add peppers zucchini, onions and garlic. Cook for 10 minutes or until tender. Stir in tomatoes and basil. Cook until heated through. 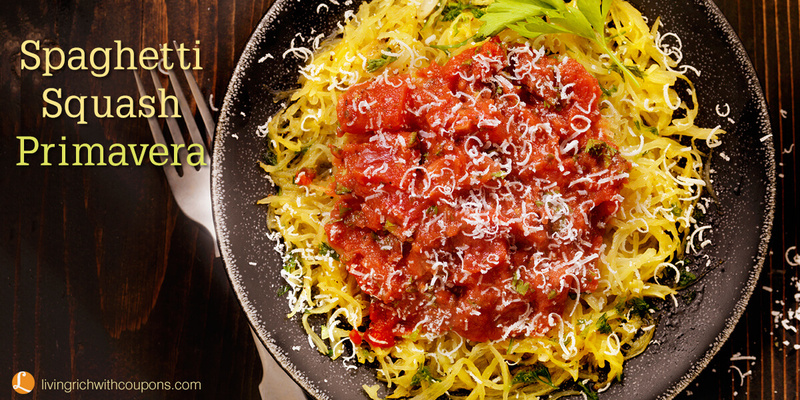 Serve vegetables over prepared spaghetti squash. Top with Parmesan cheese.